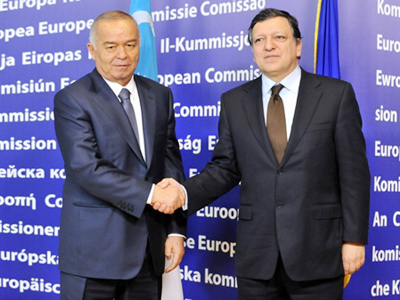 The visit of Uzbekistan president Islam Karimov to Brussels has resulted in a co-operation agreement between the Central Asian republic and NATO and a memorandum of understanding in the energy field. ­The meeting with NATO chief Anders Fogh Rasmussen and European Commission President Jose Manuel Barroso was marked with protests by human rights groups, who demanded that the EU press Uzbekistan’s leader on human rights issues in his country. But it seems that NATO chose from the start, if not to turn a blind eye on them, then at least to make a concession. “I think it will be possible for me to strike the right balance to discuss human rights and democracy. At the same time, this is the correct time to discuss practical co-operation on transit facilities and other elements in practical co-operation, which can benefit our operation in Afghanistan,” said NATO chief Anders Fogh Rasmussen ahead of the meeting. The EU imposed sanctions on Karimov’s government in 2005 after Uzbekistan brutally suppressed a popular uprising in Andijan. Foreign media reported around a thousand people were killed, with local authorities claiming the death toll did not exceed 187. The sanctions were lifted in 2009. “The West has reviewed its human right standards as far as Central Asia is concerned,” believes Sanobar Shermatova, a specialist in Central Asia and the Caucasus. “It is now not considered a region where Western standards of democracy should be promoted. Economic and military interests now come to the forefront. Karimov’s visit demonstrates this shift in the European policy,” Russian Nezavisimaya Gazeta daily quotes her as saying. Indeed, military co-operation was the focal point of the meeting. Uzbekistan is essential for NATO as a transit route to Afghanistan. Although Karimov attempts to play a greater role in stabilizing Afghanistan, Moscow and the West have been reluctant to accept its initiative to create a contact group in the 6+3 format. 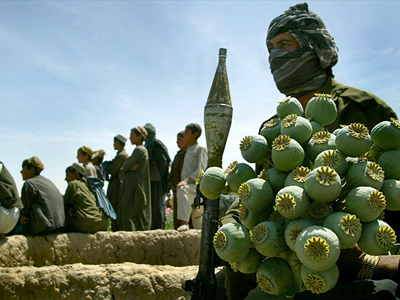 It would include Afghanistan’s six neighboring countries and representatives of the US, NATO and Russia. 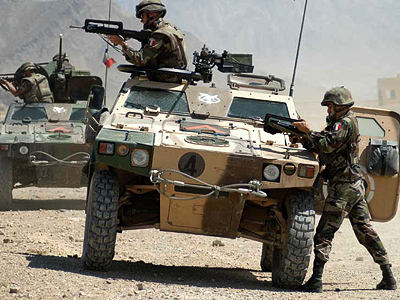 The EU rejects the idea, saying this format of talks omits Afghanistan. Nonetheless, the EU could not ignore the human rights issue during the meeting, at least formally. Jose Manuel Barroso said in a statement that he “raised all key concerns of Europe, notably regarding human rights and fundamental freedoms, which stand at the heart of EU foreign policy.” However, human rights organizations regard this as too mild a stance and an actual renunciation of the EU’s principles in favor of political interests.